The mountain range of Esja lies across the fjord to the north of Reykjavík, and is a popular destination for walking amongst locals and tourists. Peaking at 914m, it is a serious climb, though most walkers are happy to stop when they reach the top of one of the outlying ridges. At about 800m, after a final hands and feet climb, the mountainside levels off and disappears up towards the central ridge; but it is rough, difficult ground further up, and the view is already fantastic at 800m. I took the main path from Mógilsá up to the ridge of Þverfellshorn. 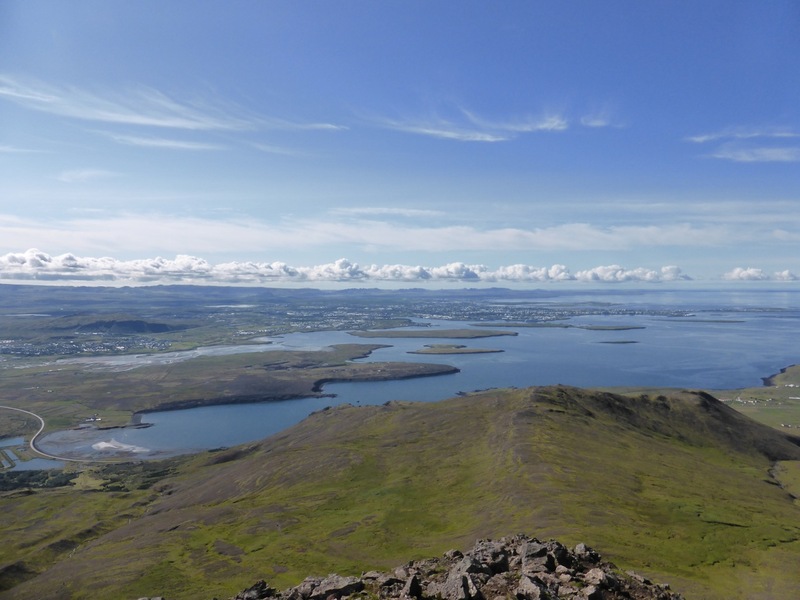 It was the last day of good weather for three weeks, and the view over Reykjavík and the fjords was superb. 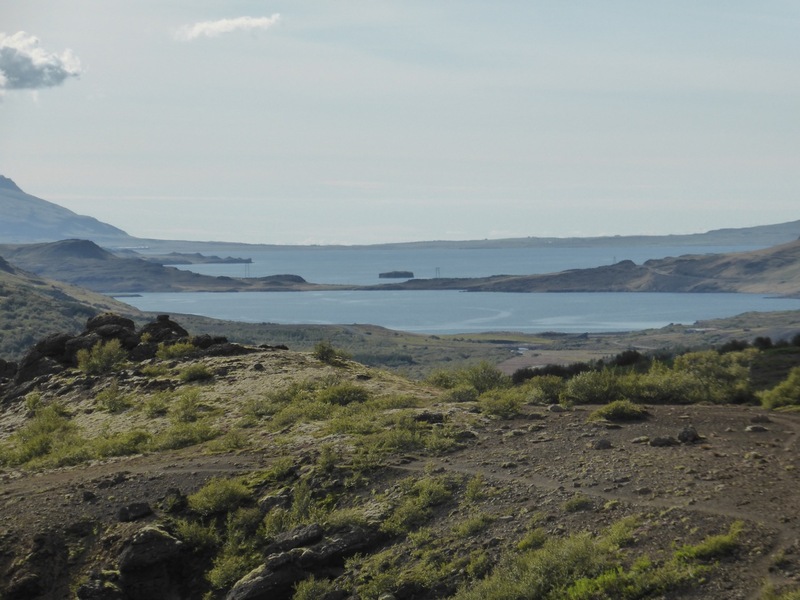 In the distance I could see the entire northern coast of Reykjanes Peninsula, even out to the lighthouses at Garður where I had camped my first night, 50km away across the fjord. Only the industrial shoreline of northern Reykjavík marred the view, but I was more interested in looking down the valley to the west of Þverfellshorn. At the bottom of this valley lies the ancient saga site of Esjuberg, a farm established by some of the first Irish Christians to arrive after the Norse settlement had begun (speculation abounds as to whether Irish monks or even settlers had made it to Iceland before the vikings arrived, only to think better of it when they met their new neighbours). They were initially welcomed by the open-minded local chieftain, the pagan Helgi Bjolan, whose father had ruled the extensively Christianised Scottish islands for a time. However, when his more aggressive son and grandson took over relations soon deteriorated. According to the Saga of the People of Kjalarnes a young man of Irish descent called Bui lived at Esjuberg with his Irish foster-mother Esja, a Christian and a magic-user. This was an unusual combination in the world of the sagas, but very useful to Bui. 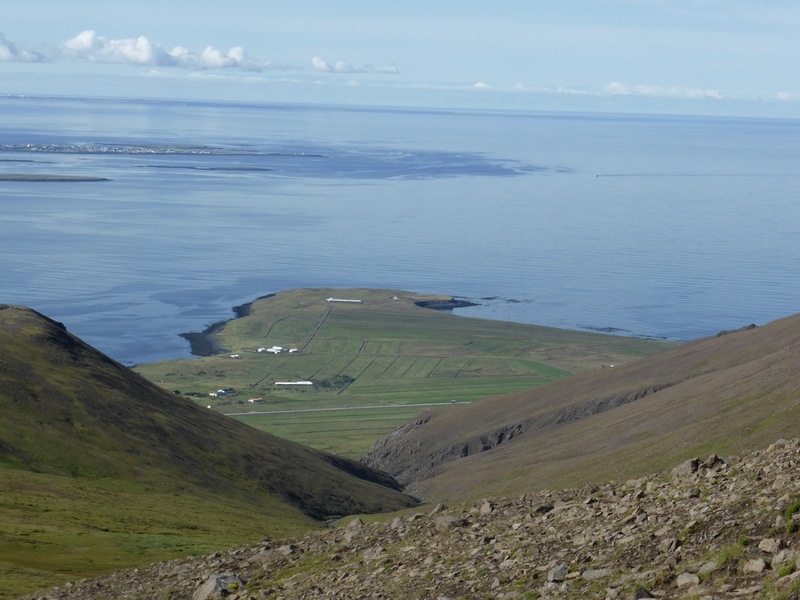 Esjuberg just out of sight at foot of valley; Seltjarnarnes at the end of Reykjavík Peninsula in middle distance; Garður and Reykjanes Peninsula just below horizon. With her help Bui fought back against the new chieftain and his son when they tried to exile him for refusing to pay taxes to their temple to Thor. He killed the son while he was worshipping in the temple, and then set it alight. With Esja’s help he hid in a cave high up in the mountainside, somewhere above the valley I was now looking down 1100 years later. Meanwhile down at the foot of the valley the chieftain set out to avenge his son, but when he couldn’t find Bui he instead killed his old friend and sworn-brother, Bui’s father. So, as is the nature of a feud, no one really won. However, years later Bui and the chieftain were reconciled, and Bui married his daughter, so there seemed to be a happy ending; until Bui was killed wrestling a son he had fathered on a beautiful troll princess in the mountains of Norway. This may serve as a timely reminder to treat all the stories in the sagas with healthy suspicion! Driving along the road afterwards I was able to see the site of Esjuberg, still an active farm, off to the right against the mountain. Further on there is good farmland in the area where Helgi Bjolan and his descendants had their farm. This area was once heavily wooded, according to the saga, but like around Reykjavík, it was all used up and destroyed in the first centuries of occupation. To the north of the mountain range Esja lies Hvalfjörður (Whale Fjord), a long, narrow fjord that carves its way into south-western Iceland. 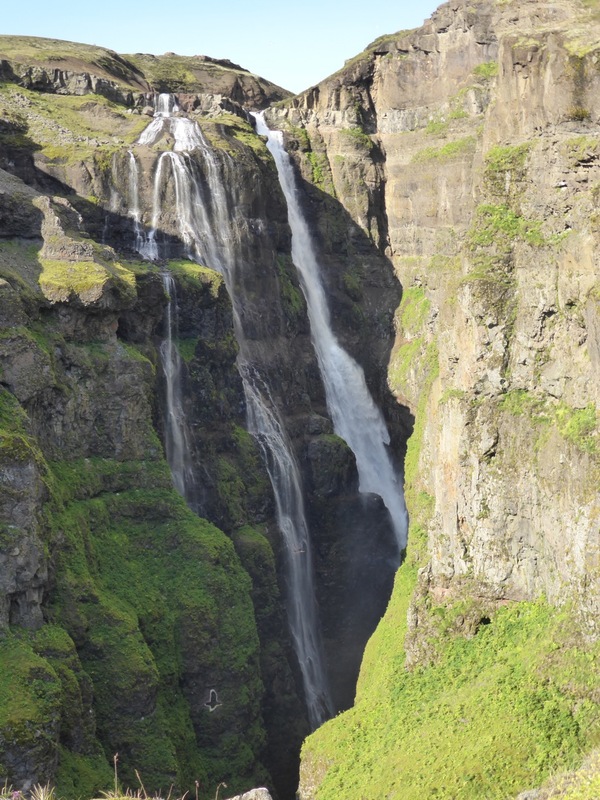 I wanted to get to the head of the fjord, for two reasons: the waterfall Glymur, and the island of Geirshólmi. 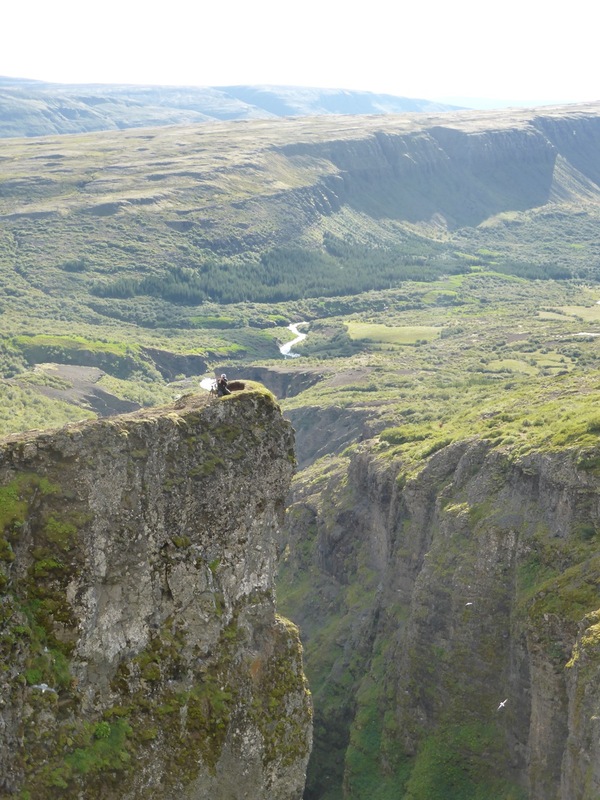 I got a lucky lift with a young Austrian man who had no fixed schedule and thought Glymur sounded interesting. 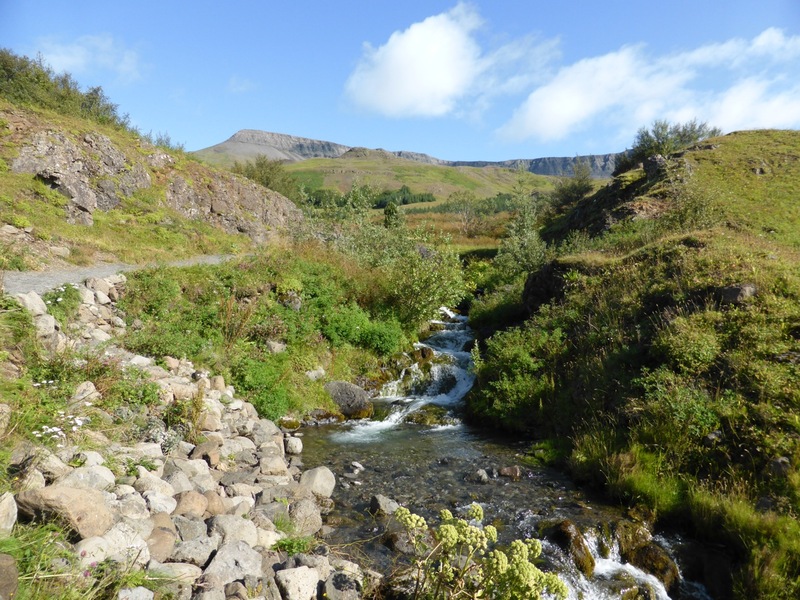 After driving the 35km to the end of the fjord, we set off on foot together on the two-hour return walk to Glymur, Iceland’s highest waterfall at 198m. And the waterfall did not disappoint; spilling over the end of a terrifying gorge that climbed suddenly from the gentle valley floor, the fall disappeared out of sight into the depths of the chasm. Seagulls flew around, below me in the gorge as often as above, and when I dared to peak over the crumbling edge I could see gull chicks in nests below me. It was exhilarating, impressive, terrifying, and well worth the walk. 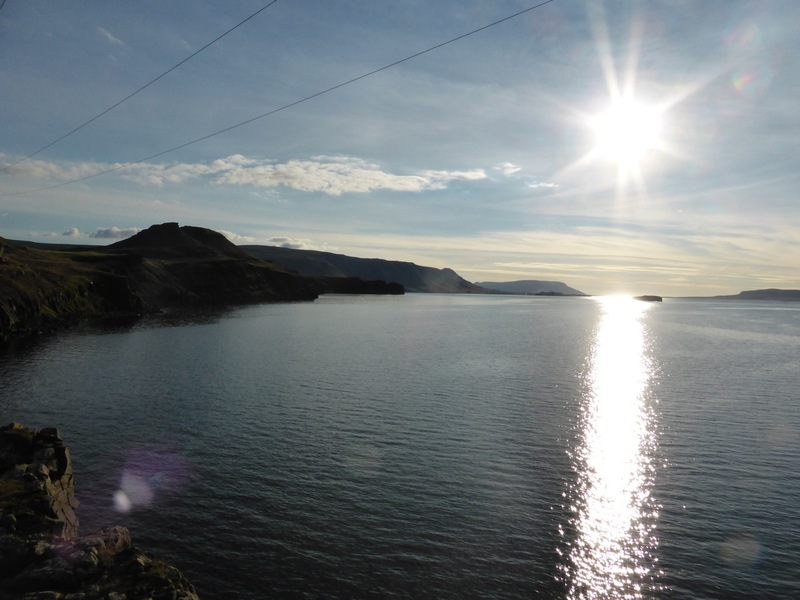 Back at the fjord Geirshólmi poked its tiny cliffs out of the water, silhouetted by the sinking sun. 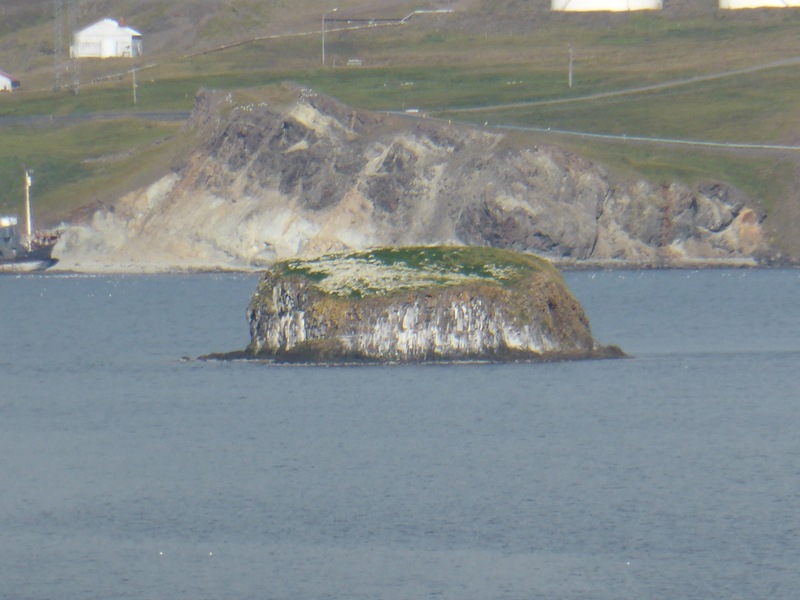 On this islet, 50m across and only slightly longer, between 80 and 200 outlaws lived for a time, according to the Saga of Hord and the People of Holm. 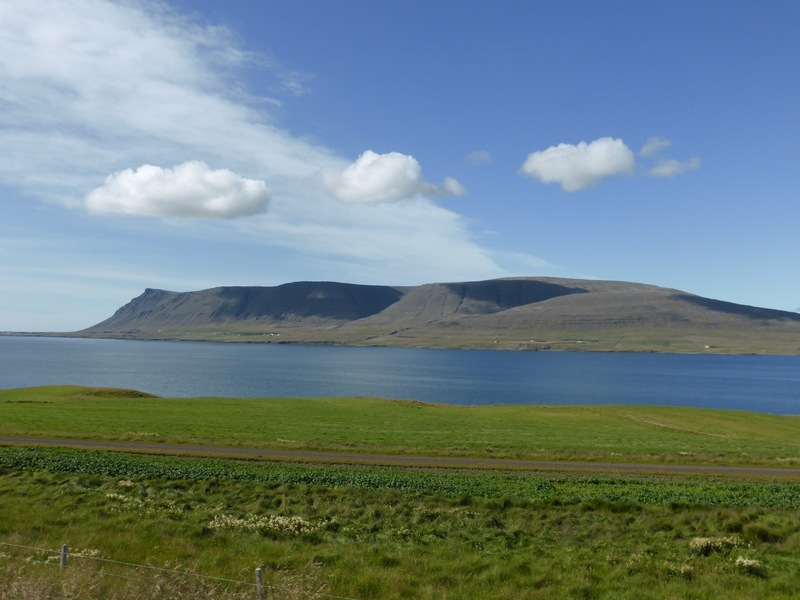 From the mainland the island looked far too small to accommodate so many people, but the longhouses at Hafnir and in the 871±2 museum had taught me that the medieval Icelanders could sleep a lot of people in a very small space, so I reserved judgement on the truthfulness of the story. Undeniably it was a good defensive position, surrounded by steep cliffs several metres high, and with a clear view over the fjord in every direction. It is no wonder the local farmers found the outlaws difficult to deal with, when it was impossible for them to retaliate for all the cows, sheep, and pigs they had stolen. In the end though the stronghold was self-defeating. The outlaws got so bored sitting on their rock that they allowed themselves to be duped into coming ashore with a promise of an amnesty, where every last one of them was killed. The hero, Hord, was the last to leave, and his wife stayed behind with her two sons. When he didn’t return she set out to swim ashore with the children, escaping just before the vengeful farmers turned up to complete the job by killing Hord’s sons. Hvalfjörður from Glymur path; Geirshólmi beyond narrow peninsula from north shore.